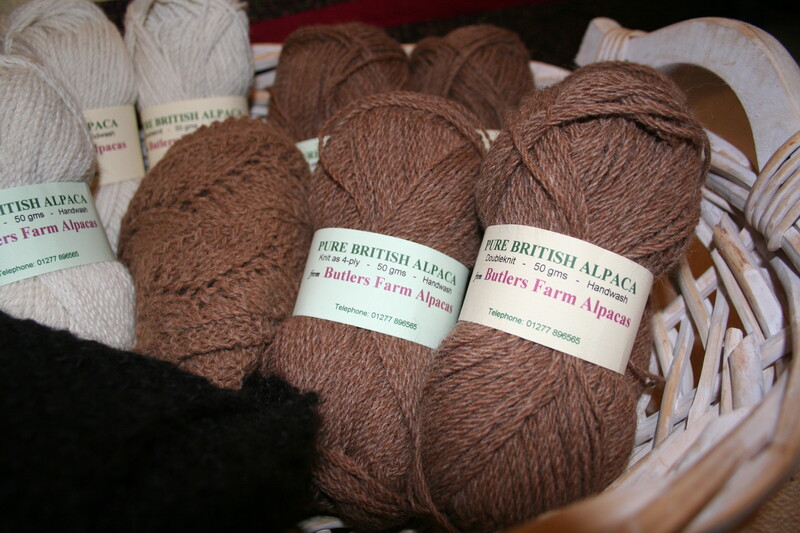 In the beautiful natural alpaca colours (16 shades), our 100% British Alpaca Knitting Yarn (Knitting Wool) has been mill spun in England from our own alpaca fleeces. 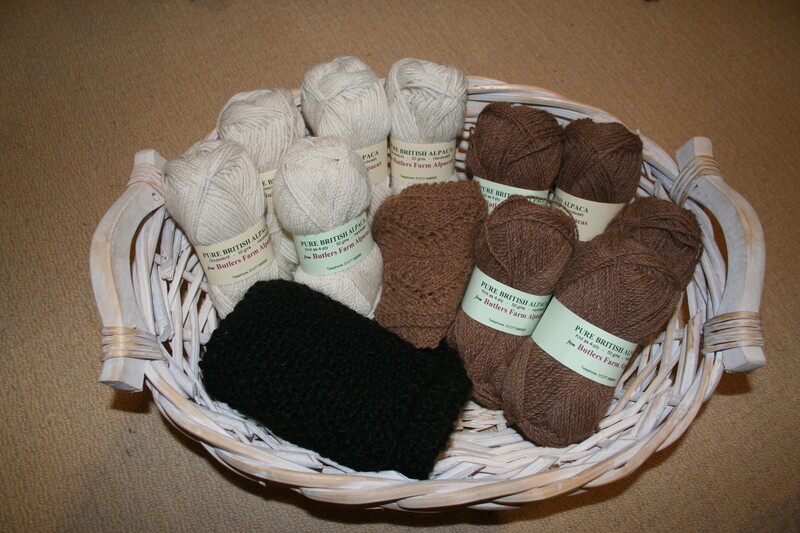 Our alpaca yarn makes fantastically warm garments, it is superfine, supersoft and hypoallergenic. We offer a knit-to-order service, and have a range of handknitted garments for sale in our farm shop. Yarn type: Available in Double Knit (DK) or 4-ply - in balls or on cones. Use with any knitting pattern, but do check your tension! Colours: Currently in stock we have Ivory, Latte, Biscuit, Silver Grey, Dove Grey, Charcoal, Chocolate. Please visit our ONLINE SHOP, email us at info@TheAlpacaShop.uk or call us on 01277 896565, to place your order or discuss your requirements. If you would like to visit our The Alpaca Shop at our farm, please see our Events Diary.